Scott joins Compass as a Broker Associate with 11 years of real estate and 25 years of marketing, fundraising, sales and management experience. Born and raised in Miami, Scott has a deep understanding and strong connection to the community. He loves to travel and has lived in places as diverse as New York City, Tuscaloosa, Alabama and Israel. 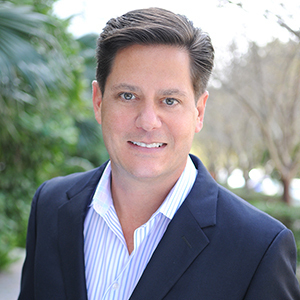 As a native with a deep knowledge of the city’s unique neighborhoods, Scott has worked with buyers from around the world, introducing them to the incredibly diverse options of properties available in the Miami area. He excels at matching buyers to neighborhoods and buildings that make them feel instantly at home. If you’re not sure which neighborhood is right for you, or whether you want a house or a condo, Scott is the agent who can help you figure it out. A resident of Belle Isle on Miami Beach for the past 12 years and president of the Belle Isle Residents Association, Scott has facilitated several record-breaking sales in the neighborhood he calls home. As past president of two condo associations and a licensed CAM (Community Association Manager) since 2011, Scott has a unique perspective and can fully educate his buyers on the complex issues unique to purchasing a condo including property management, financial stability and assessments, mortgage financing and insurance requirements. Scott feels an obligation to give back to the community that has given him so much and has served on the boards of many community organizations. A past member of the Miami Beach Transportation and Parking Committee, Scott currently serves on the City’s Sustainability Committee. He ran for Miami Beach City Commission in 2015.